The past few weeks have been the craziest of weather days. We had one weekend where the temperature was in the single digits and, with the wind blowing, it felt like below zero. We had to go out in the morning but then I wanted to do nothing but sit on the couch to get warm and cozy. We made some hot chocolate and topped it with the most amazing salted caramel sauce for the perfect treat to warm us up. The kids were busy playing for a few minutes so I grabbed some Starbucks® Hot Cocoa K-Cup® pods and brewed up a few cups of delicious hot chocolate. The K-Cup® pods are perfect because I can make hot chocolate quickly and every can get the exact thing they want. Each cup is made with real cocoa and non-fat milk so they taste amazing. Mathlete wanted the Starbucks® Classic Hot Cocoa and he topped his with a delicious artisan marshmallow from the cozy collection we received. 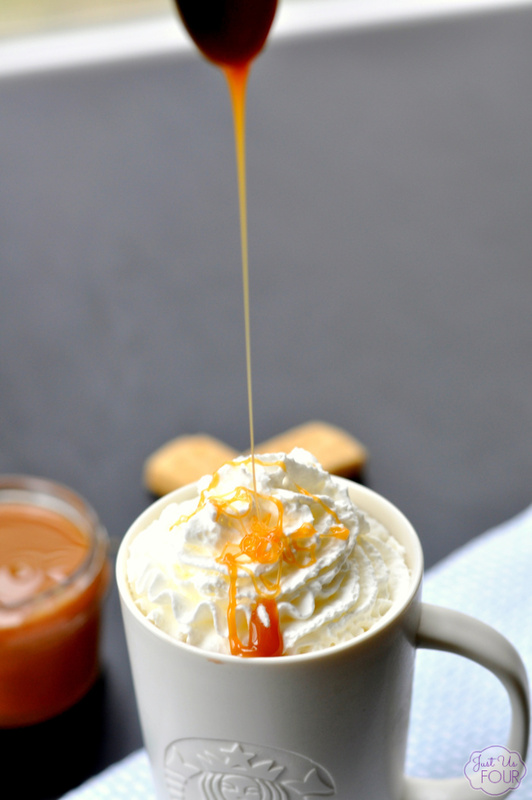 I went for the Salted Caramel Hot Cocoa and then topped it with whipped cream and the most amazing salted caramel sauce. The hot cocoa, combined with the warm blanket from the Cozy collection was the perfect way to warm up after our frigid morning. Be sure to visit the Starbucks site to learn more and enter for your chance to win a Cozy collection of your own. 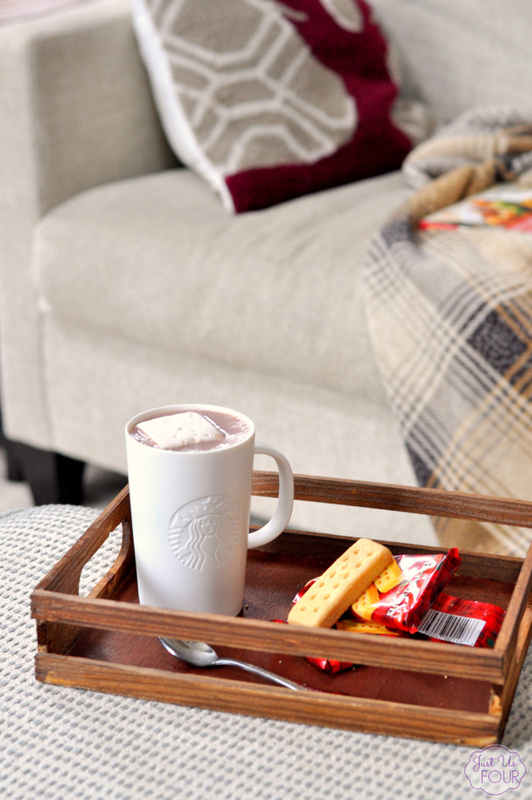 The Cozy collection features a blanket, a mug, marshmallows, shortbreads, $5 Starbucks Card, exclusive offer on Starbucks® Hot Cocoa K-Cup® Pods, Starbucks® Classic and Salted Caramel K-Cup®Pods. I get a ton of use out of the blanket and mug for sure! 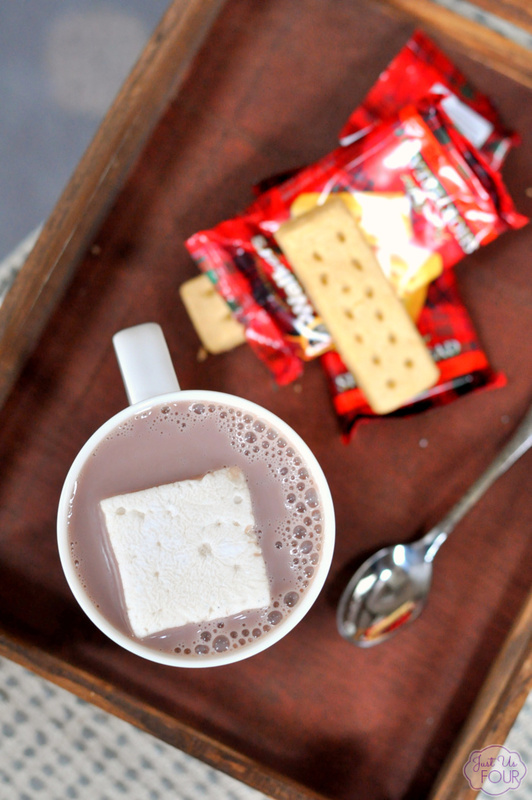 What is your favorite way to enjoy hot cocoa? 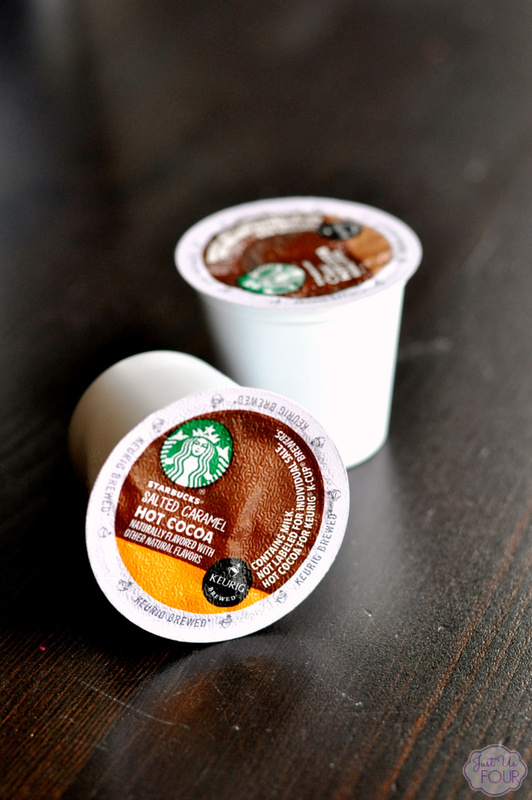 Have you tried the new Starbucks® Hot Cocoa K-Cup® pods? They make getting hot cocoa ready for everyone a breeze. Be sure to connect with Starbucks on Facebook, Pinterest, Instagram and Twitter. In a heavy saucepan, heat heavy cream and butter over medium-low heat. After the butter is melted, whisk in brown sugar. Add in vanilla slowly being carefully as the mixture will bubble. Cook an additional minute. Remove from heat and add stir in salt. Pour the salted caramel sauce into jar or bottle and refrigerate until ready to use. To use, simply warm slightly in the microwave to loosen. Looks so so luscious…thanks for the recipe…here from Karen’s. Thank you so much for coming by to visit. Thanks! Homemade caramel sauce is my favorite! No, I haven’t tried them! 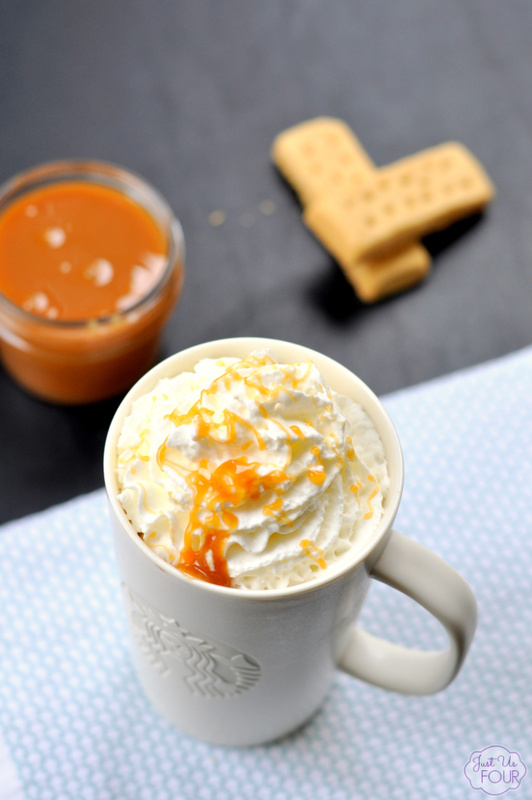 How fun~but your salted caramel makes it! Thanks for stopping by Throwback Thursday! We can’t wait to see what you’ll have for us next week!